Lockheed Martin is committed to a program of philanthropy that supports the Corporation’s strategic business goals and invests in the quality of life in the communities where our employees work and live. Have a non-profit tax exempt classification under Section 501(c)(3) of the Internal Revenue Service Code, or equivalent international non-profit classification, or be a public elementary/secondary school, or be a qualifying US-based institute of higher education. Align with one or more of Lockheed Martin’s strategic focus areas: science, technology, engineering, and mathematics (STEM) education and military and veteran causes, or provide support to address the needs of the communities where our employees live and work. Agree to act in accordance with Lockheed Martin’s contribution acknowledgement requirements: organization/grantee will comply with all applicable requirements of the Patriot Act and the Voluntary Anti-Terrorist Guidelines and will not use any portion of the grant funds for the support, direct or indirect, of acts of violence or terrorism or for any organization engaged in or supporting such acts. Be located or operate in a community in which Lockheed Martin has employees or business interests. Demonstrate fiscal and administrative responsibility and have an active, diverse board, effective leadership, continuity and efficiency of administration. Be limited to one grant per year, except in unusual circumstances. Support specific programs, not capital (“bricks and mortar”) campaigns such as monuments, memorials or museums. 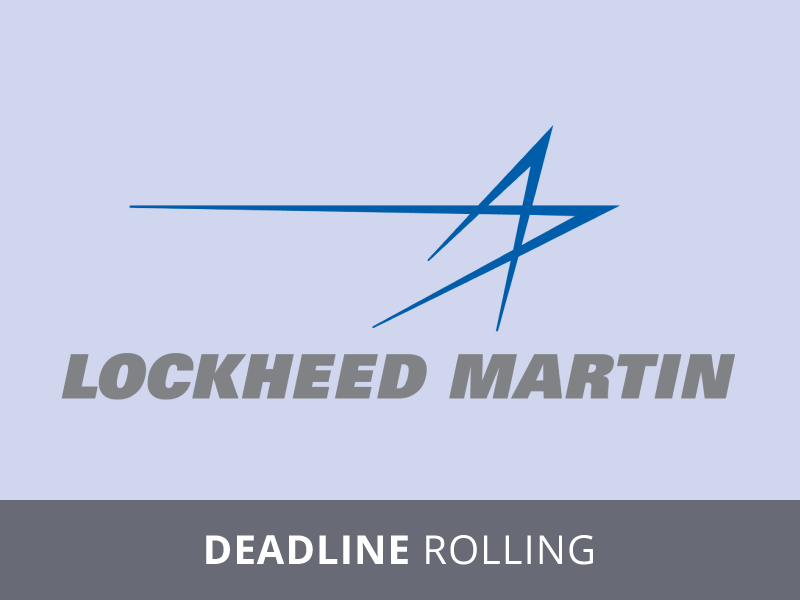 Capital campaigns are approved on an exception basis only by Lockheed Martin’s corporate headquarters.